One of my favorite masks has been the EradiKate Mask from Kate Somerville. What I like about this mask is that it goes on gel-like and it starts foaming up on your skin. Whenever I see a breakout coming or just have had a tough skin week I do this mask 2x a week and helps calm/prevent the acne and kill the bacteria. This product is similar the Mario Badescu drying lotion but better. 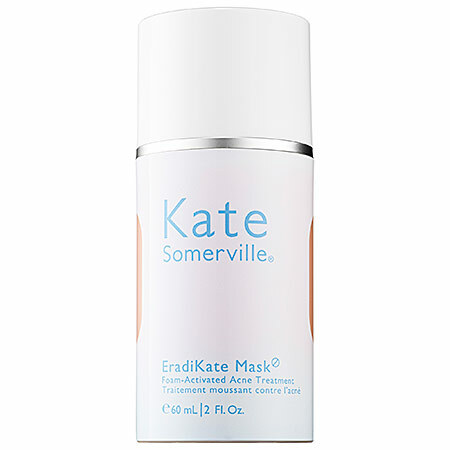 Kate Somerville recently came out with the face wash edition Eradikate Daily cleanser. This has helped me so much when I have breakouts I am so happy I was introduced to these products. Unlike other products that are acne/breakout related these two treat your skin without causing it to dry it out. If you have acne prone skin or just need a good clearing mask you should really try these products out.